Lady Marguerite Blakeney, darling of English high society, is in trouble. 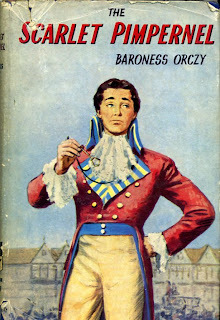 Her brother Armand St Just, risking his life in Revolutionary France, has just been denounced to Citizen Chauvelin as a member of the famous League of the Scarlet Pimpernel—a group of young English and French gentlement whose business and pleasure it is to rescue aristocrats condemned to the guillotine. And if Marguerite doesn't use her position and influence in English society to discover their brave and gallant leader, the Scarlet Pimpernel himself, and turn him in to Chauvelin, then her brother perishes on the guillotine. If only there was someone to whom Marguerite could turn in trouble! But she has nobody. Back when she was the most feted actress in Paris, known as 'the cleverest woman in Europe', she might have turned to anyone; perhaps even to her fabulously wealthy and devoted suitor, Sir Percy Blakeney. But now Percy and Marguerite's marriage is on the rocks: Sir Percy seems to have retreated into a shell of languid indifference, and even Marguerite is beginning to wonder if she really did ever see more in Percy than a devoted affection for cravats and a brain which couldn't even make a pair of cami-knickers for a canary. But the Scarlet Pimpernel, now! There's a man with wit, daring, and gallantry! In unguarded moments, Marguerite wishes that he had appeared to sweep her off her feet before she married Sir Percy. To be forced to betray him—whoever he is—is more than she can bear. Who is the Scarlet Pimpernel? Can Marguerite save her brother and the Pimpernel? Is Sir Percy really the witless wonder he appears to be? You will, of course, need to read the book to find out. The Scarlet Pimpernel is a fine adventure story and an enjoyable romance, but as far as historical fact goes, do not expect to learn much. From The Scarlet Pimpernel, you might expect that those who perished on the guillotine in the Reign of Terror were mainly aristocrats. In fact only a fraction—Wikipedia says 8 percent—of those killed were aristocrats. The vast majority (72 percent) were workers or peasants, while a further 14 percent were middle-classed. The French Revolution declared itself by its slogan, its motto, “Liberty, Equality, and Fraternity.” But while it promised liberty it resulted in totalitarianism. Freedom of the press, freedom of speech, freedom of religion were all crushed within a span of just a few short years. The most free, the most prosperous, and the most religious nation in all of Europe was turned entirely upside down and brought under the weight of a fierce tyranny the likes of which the world had not seen since ancient antiquity and the rule of the Caesars. It promised equality but the result of the French Revolution was really extreme inequality and injustice, particularly during the Reign of Terror, during which time forty thousand citizens were ultimately brought under the bar of judgement and executed. More than three hundred and fifty thousand Parisians alone spent time in jail during the Reign of Terror. […] It was a time when the greatest aspirations of man demonstrated themselves in the worst behaviour of man. You will learn none of this from Orczy's book. No, The Scarlet Pimpernel is not really about the French Revolution. It is about Marguerite, and how delightfully melodramatic her life is. Ballroom intrigue, brilliant disguises, aching romance, and midnight adventure are the order of the day. 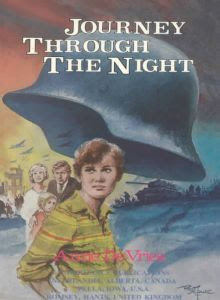 It's a very short book, with deft characterisation but a somewhat short and superficial plot; most film adaptations expand the story immensely, borrowing plot elements from sequels and digging back into the novel's hinted past. The only real complaint I have about The Scarlet Pimpernel is that it is not about four times longer. Otherwise, good clean fun in the time of the Terror. I particularly recommend it to thirteen-year-old girls, though there is no reason why it should not appeal to just about everybody. The only film adaptation I have seen is the 1982 version with Anthony Andrews, Jane Seymour, and Ian MacKellan. It's a fine attempt, with more plot and slightly more history in it (though I had to sniff with disgust when the Pimpernel rescues the infamous Duc D'Orleans), great acting and a nice script. However there are a couple of scenes I'd rather have avoided. I do recommend parental guidance. 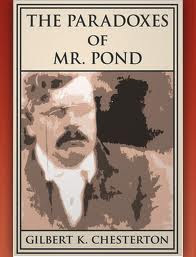 Another book of short stories from the brilliant Chesterton, The Paradoxes of Mr Pond is full of the usual Chestertonian themes: the insufficiency of reason, the randomness of facts, or the shortcomings of atheism. Paradox--the use of language to at once reveal and conceal truth--takes the leading role in this particular book. The titular Mr Pond is given to saying apparently contradictory things at the drop of a hat, which leads many people to conclude that he is quite mad. The fact is that he is not; he merely alludes to strange occurrences in his past which, did the listener but know it, explain perfectly how a man could be too tall to be seen, or the head of a giant too small after all. Nobody loved a good paradox more than Chesterton did, and that is apparent in all his books. I shall never forget the time, in Heretics, that he stated that bigots are those with nothing firm to believe in--and then proved it. The problem is that they are tricky things, and I'm not convinced that all the paradoxes in this book always work. Or at least, they do, but they are not startling enough to live up to expectations; the revelation of how they make sense, after all, is anticlimactic. The worst of these stories occasionally descend to mere equivocation, a complex game of pil-pul. The best of them, however, were as good as Chesterton gets--which is quite good. For me the two standouts were the stories When Doctors Agree and Ring of Lovers. In the first, Mr Pond is asked to explain what he means by saying that he once knew two men who agreed so perfectly, that one of them murdered the other. The answer reveals a fundamental weakness in the atheist philosophy: not that atheists are incapable of morality (after all, common grace restrains them, as does the slow dry rot of irrational, respectable middle-class morality) but that their morality is without basis, without penalties, without coercions, without reason. If there are no absolute standards of right and wrong enforced by a jealous God, what basis have you to say, "You should not do this or that"? "I was better than I seemed. But what did that mean, except the spiritual blasphemy that I wanted to seem worse than I was? What could it mean, except that, far worse than one who practiced vice, I admired it? Yes, admired it in myself; even when it wasn't there. I was the new hypocrite; but mine was the homage that virtue pays to vice." If Christian teenagers were forced to read this story every day between the ages of thirteen and twenty, we might have a whole lot less cool in the church, and a whole lot more effectiveness. One of my favourite books is Angels in the Architecture by Douglases Jones and Wilson--a celebration of everything that was right about medieval Christendom. This poem appears at the beginning of the book. whom the world never ceases joyously to praise. drenched in blood after vanquishing the prince of this world. to the power of the Father and His true wisdom. Let us therefore hold the supreme victories of Christ as brilliant stars in our minds. Behold the four corners of the world are clasped by the wooden cross. Homeschoolers have adopted a lot of things. Denim pinafores, for example. Mary Pride books. The Toyota Tarago. Some things go in and out of vogue: the day of the denim pinafore is probably (and thankfully) past. But some things remain, and GA Henty is one of them. As a veteran homeschooling friend told me, “My dear, I was force-feeding Henty to my little tribe of boys before you were born”--no doubt during the early 1980s! (Practically antediluvian.) Unlike the denim pinafore, however, GA Henty books have only grown in popularity. I grew up on the gorgeous cloth-bound Preston/Speed hardbacks (The Dragon and the Raven was the first I read), but Vision Forum also publish a dazzling array of his many, many works. GA Henty's shtick—and he had a shtick in the best possible way—was military history. Take a young English boy, about fifteen or sixteen, with a careful upbringing; send him away to the wars; let him meet famous people—Napoleon, Hannibal, Coligny, Josephus; send him through the great battles—Austerlitz, the taking of Tenochtitlan, the seiges of Leyden, Acre, Rhodes, or Jerusalem; then send him home loaded down with honour and a rescued fiancee. Henty's Wikipedia page has a section entitled “Controversial views” in which it is stated that “Henty's popularity amongst homeschoolers is not without controversy, particularly because some of his work has been considered racist by political commentators such as Rachel Maddow.” It is but to laugh. Henty wrote 122 books. Most of these did not even touch on interracial relations. All of them heavily stressed the importance of bravery, honour, gentleness, mercy, and kindness to all people, even enemies. The thought of 'political commentators such as Rachel Maddow' sitting about gnawing on their knuckles because other people's children are being taught to be both lethally intelligent and angelicly magnanimous stirs up pity rather than resentment. 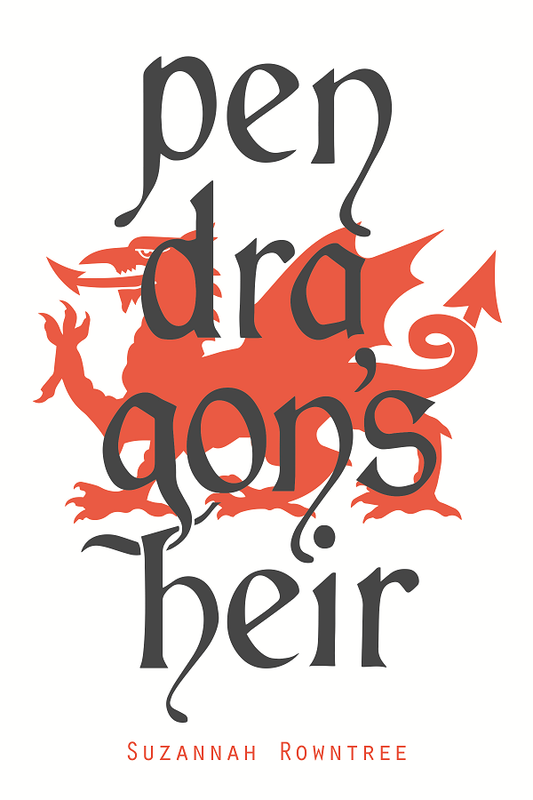 Let them gnaw; but it's a lovely day, dear readers, to buy your first Henty book or your twentieth. 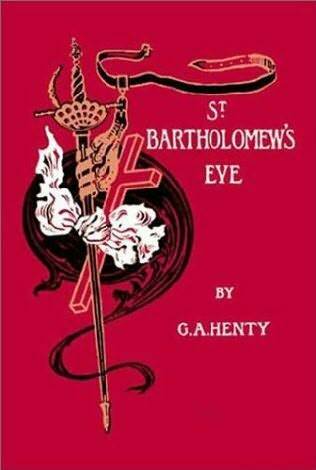 It has been a few years since I last read a Henty book—it may have been A Knight of the White Cross that I read last, or In The Reign of Terror, or Lion of the North; I forget. There was one I'd always wanted to read, though: Saint Bartholomew's Eve, about the massacre of the French Protestants in 1572. When I found it on Librivox.org, I downloaded it with glee and prepared to listen to a GA Henty book for the first time in maybe five years. How did I stay away for so long? Philip Fletcher is a child of two worlds—on one side his father, an English yeoman, and the hard training at the local English school; on the other side his noble French mother, a Huguenot refugee, and her family. Philip's family, staunch Protestants and most of them refugees, watch the terrible events unfolding in France with horror as more and more Huguenots spring up to be massacred in greater and greater numbers. Wishing to contribute in the only way they know how to the Protestant cause in France, they bring Philip up to the best of both worlds—English hardiness and steadiness tempered with French skill and grace. At nearly sixteen, already a fine swordsman and possessing a keen intelligence, Philip travels to France to fight alongside his young cousin, the Count de Laville. France during the Huguenot Wars is a dangerous place for a young Protestant of any nationality, and Philip's readiness to take on any dangerous missions leads him into mortal danger again and again. At last the cousins' friendship with the young Prince of Navarre takes them into Paris for the latter's wedding to the King's sister Marguerite of Valois. 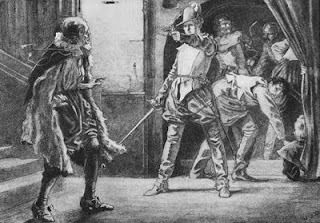 Someone tries to assassinate the grand old General Coligny, and Philip's friend and valet Pierre anticipates some terrible danger. But surely nothing so awful as a general massacre could possibly be suspected? 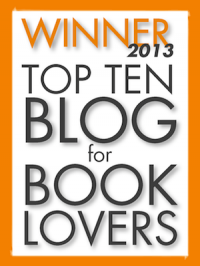 By now you all know that I am The World's Biggest John Buchan Fan. It's a hard life, but I manage. The problem with Buchan is that he wrote so very, very many must-read books, most of them absolutely unique. 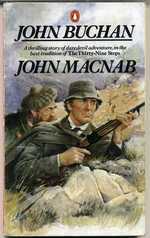 My first recommendation for The One John Buchan Book You Absolutely Must Read If You Read No Others was Huntingtower, but now as I sit thinking about it, I'm tempted to change my vote to John Macnab. Sir, I have the honour to inform you that I propose to kill a stag—or a salmon as the case may be—on your ground between midnight on ---- and midnight ----. The animal, of course, remains your property and will be duly delivered to you. It is a condition that it must be removed wholly outside your bounds. In the event of the undersigned failing to achieve his purpose he will pay as forfeit one hundred pounds, and if successful fifty pounds to any charity you may appoint. I have the honour to be, your obedient servant JOHN MACNAB. I always find myself somewhat surprised by a Rider Haggard novel. Some are very good; others are very silly. Some are tragic epics; some are pleasant and funny adventure stories. This one is the latter. Four men travel into the Sahara in search of the lost kingdom of Mur: an old doctor looking for his lost son, a professor in search of learning, and a young man in search of adventure with his old sergeant. The inhabitants of Mur, the Abati—one of the lost tribes of Israel, now in the decline of their civilisation fallen into effete cowardice and lethargy. Their queen—Maqueda, the Child of Kings, descended from Solomon and the Queen of Sheba, one of the few Abati that still shows courage and enterprise. Their enemies—the warlike and vigorous Fung, who worship the gigantic lion-headed sphinx Harmac. Do I even need to tell you that this is a thrilling adventure story with not a dull moment? As usual with Rider Haggard novels, there's a lost civilisation in the last stages of decay. There's an epic romance between the queen and one of the adventurers that threatens to bring disaster not only to them, but also to the whole fragile nation. 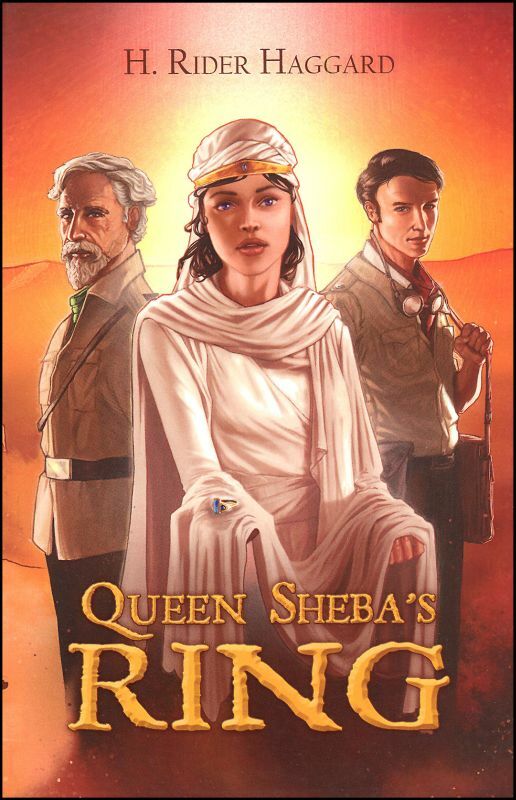 There's oodles of drama, underground tombs stuffed with gold, hungry lions, scheming viziers, kidnappings, rescues, pith helmets, camel chases, &c.
It was interesting as a sort of informal survey. I found that perhaps four out of five of the people I asked had read it, and the one of them that hadn't read it had grown up hearing about it. They were all a little surprised to find that anyone in the English-speaking world had heard about it, much less remembered it well enough to discuss it with them. I'm glad it's so well-known in its native country, however. The Nazi occupation of the Netherlands may be over, but its spirit has conquered that country—it is now one of the most dangerous places in the world in which to be aged or unborn. However once it had a robust tradition of Reformed Christianity (see the previous post for a great snapshot of Dutch heroism) and that heroism and faith resurfaced briefly for the very last time during the Nazi occupation in World War II. After that dreadful time (ask a Dutch grandfather what tulip bulb tastes like) the writer Anne De Vries was commissioned to write a novel that would commemorate the spirit of resistance for future generations. This was the result. In 1940, it took just five days for the Nazis to occupy Holland. For the De Boer family, life will never be the same again. At first the De Boers propose to live quietly under the occupying forces, waiting for the tide of war to turn, but they soon find that neutrality is impossible. Loyalty to their countrymen and the faith that calls on them to resist tyranny soon draws them into Resistance work—hiding pamphlets one month, forwarding black-market food to the family that hides Jews the next. Slowly, the De Boers find themselves drawn deeper and deeper into Resistance work—work that brings danger, excitement, and tragedy in plenty. De Vries packs a lot into this book. From other stories I've read and heard of the occupation, he passes lightly over some of the grimmer realities; for example, that last desperate winter, when people began to starve and city folks wandered the countryside begging for food. Otherwise the story provides a fascinating glimpse at the spirit of those five long years: both the bravery of the Resistance and the treachery of collaborators. Like many of those associated with the fight for freedom, the De Boer family find their Christian faith a source, not just of inspiration, but of compulsion to fight. There's even an episode in the story where John De Boer, our young hero, and his father briefly meet an old man and his two daughters—probably intended to be a homage to the ten Boom family. Probably there are other homages scattered throughout the book, but I don't know enough about the times to recognise them. Journey Through the Night isn't just a patriotic celebration of Dutch heroism, however. Nor is it just a thrilling adventure story. Anne de Vries, a sincere Christian himself, recognised that it was the Netherlands' Christian heritage that made the Dutch heroic. The book is at least partly a handbook for young men on Christianity in times of war. Sometimes, as a Christian man, you have to resist tyranny--in time of war, with deadly force. When your father is snatched away for participating in Resistance work, you step into his shoes. When your little brother is old enough, you pass him a machine-gun. Grow up. Take responsibility, and take back your country. One interesting snippet of the book is about how the De Boer's community deals with a collaborator, who has been hunting Jews for the Gestapo. I liked how the community leaders deal with the problem by gathering secretly to discuss, vote, and pass sentence of death on the man—resistance by means of local authorities is an intensely Reformed mode of resistance against tyranny, harking back to the Netherlands' Reformed heritage. Although this chapter in the history of the Netherlands ends happily, with the Nazis thrown out and the Canadian liberators marching in, the story today ends in tragedy. Hitler's men were defeated, but his philosophy of “life unworthy of life” lives on in the Netherlands in the twin spectres of abortion and euthanasia. 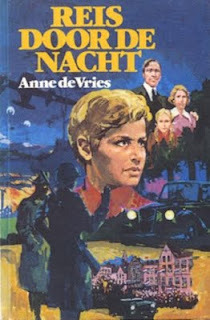 Journey Through the Night is available in an English translation from Inheritance Publications (second from the bottom) and will be keenly appreciated wherever faith, bravery, and shoot-outs in burning houses are held in high regard. PG Wodehouse, the greatest comic writer in the English language, is mainly known as a pillar of Britishness, but what few people know is that he spent some time honing his writing skills in partnership with the composer Jerome Kern in the musical-comedy business. This is one of the songs he wrote (attended by a somewhat comical medieval manuscript--take a closer look at those two damsels on the top left). And a gent was a perfect gent. They looked upon the argument as settled. And if their dame was tickled they was happy. Of imitation diamonds and platinum. The library at Deakin University was recently remodelled, with a new staircase to the wonderful second floor. This staircase had walls on each side of it, made of old books which had been soaked in some sort of glue and built into the wall! When I first saw this feature, I was absolutely shocked. How could anyone do that to old books? On closer inspection, it appeared that these books were mainly old textbooks—1970s manuals on electronics, 1960s medical textbooks, and some books that looked completely useless, like the collected works of Sigmund Freud...or that might have been my wishful thinking. I still don't like it. I suppose the human race has pumped out a huge number of textbooks over the years, most of them worthless. But this one, The Story of Liberty, is well worth the time. It was originally published in 1879 and I met it in a 1987 paperback reprinting from Maranatha Publications. It was to be my history textbook for a year, and as I began to read it, I was completely gripped. Aimed at children, with friendly big print and absolutely hundreds of intriguing pictures—reproductions of famous paintings of historical figures, items, and events—The Story of Liberty is immediately engaging. But probably the best thing I liked about it was how it was written. The author traces his story—the story of liberty—from the Magna Carta and the earliest British reformer John Wycliffe all the way through the Reformation to the Pilgrim settlement in the New World. Because he realises that history is actually a thrilling story, full of Providential plot turns, desperate last stands, heroes and villains, the book is extremely easy to read. It's written vividly, in the present tense. I read it for school once and many times for pleasure. The minister and the doctor seek safety in flight—up-stairs, out upon the roof, reaching another house. The door of the admiral's room bursts open, and ruffians, with spears and swords, rush in. The spear goes into his bosom. The ruffian beats him over the head. Others enter and plunge their swords into the prostrate form. “Have you done it?” It is the Duke of Guise calling from the street. The ruffians drag the lifeless body to the window, raise the sash, and throw it out. It falls with a thud upon the ground. The Duke of Guise looks at it. The face is smeared with blood. He wipes it away with a corner of the dressing-gown. “'Tis he, sure enough;” and stamps his heel into the face. Ah! Duke of Guise, gloating over the form of the noble foe who was ever your equal in the field or in the cabinet, there will come another day. God never forgets! One of my favourite chapters is on the brave Dutch, the Silent Man and the beggars of the sea. The siege of Leyden is perhaps the greatest story of hardship and triumph in history. Infants starve in the arms of their mothers, and mothers drop dead in the streets, or creep away to die in some lonely place. The watchmen, as they go their rounds, find corpses everywhere. Eight thousand have died of starvation. The air is reeking with malaria, but still the people of Leyden hold out. Pieter Ven der Werff is burgomaster. He stands in the market-place tall, haggard with hunger, worn out with watching. There are a few faint-hearted ones. “Give up the city,” they cry. One of the most memorable parts of the book comes near the end, where the tale of John Smith's life is told. You probably know of John Smith as a tall, sensitive blonde man from the tall, sensitive Disney film Pocahontas. John Smith was in fact a small, contumacious man with red whiskers and the kind of past GA Henty would have found unealistically thrilling. Smith resolved at an early age to be a general and adventurer, and cast down at the fact that King James had no enemies for him to fight, decided instead to travel to help Germans fight the Turks. 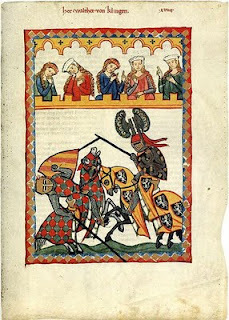 He did not reach Germany without various thrilling adventures, then covered himself in glory as the captain of the Fiery Legion, slaying three Turkish champions in single combat. A little later, they captured him, but he escaped from slavery and, after fighting pirates on the way, managed to get home to England just in time to set out for Virginia. 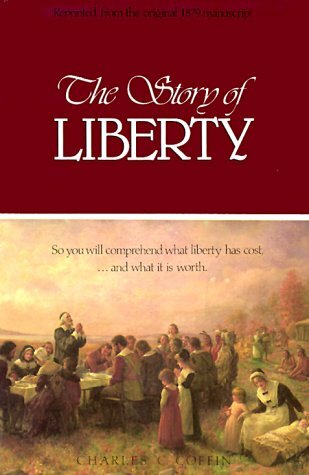 The Story of Liberty is one history book without a dull moment. 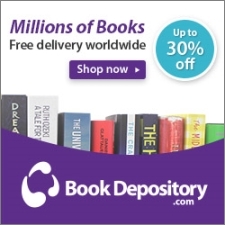 It can probably still be bought new—which is just as well, for I've been unable to find it in etext format.